WASHINGTON, DC – (RealEstateRama) — Earlier this week, the National Institute of Building Sciences issued a Communication on Engagement (COE) reaffirming its support to the world’s largest corporate responsibility initiative, the United Nations (UN) Global Compact. Two years ago, the Institute initiated its relationship with the UN Global Compact, which has nearly 12,000 business and non-business participants in 160 countries. The UN Global Compact is a strategic policy initiative for businesses that are committed to aligning their operations and strategies with 10 universally accepted principles in the areas of human rights, labor, environment and anti-corruption. By doing so, business, as a primary driver of globalization, can help ensure that markets, commerce, technology and finance advance in ways that benefit economies and societies everywhere. Global Compact Local Networks can be found in 85 countries across the globe. Within a local context, these networks provide opportunities for participants to improve understanding and share experiences on the 10 Principles and partnerships, as well as how to report on progress in these areas. 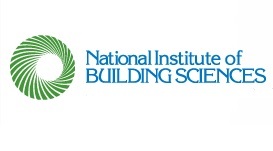 The National Institute of Building Sciences welcomes U.S. building industry feedback and participation in realizing the success of the 10 Principles and encourages other organizations to support the UN Global Compact. View the Institute’s Communication of Engagement.